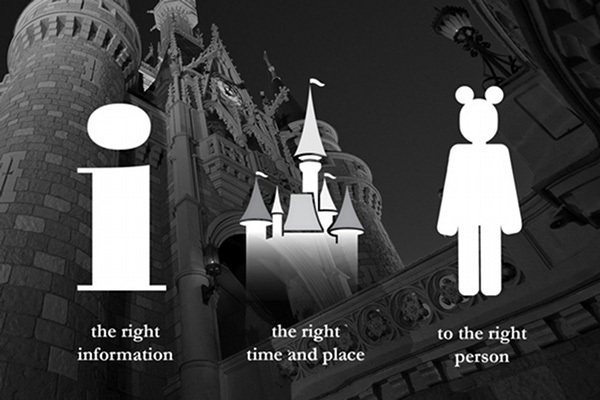 Disney SyncLink™ Technology provides a seamless experience by enabling the connection of the right information, at the right time and place, to the right person. 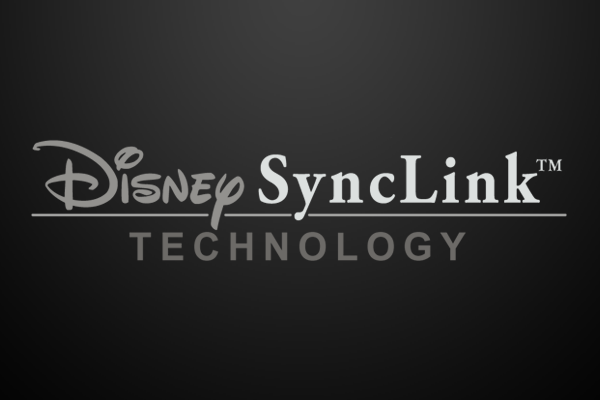 Disney Synclink™ Technology is a suite of products, goods, services and methods that enable companies to provide their teams and clients with unique experiences coupling critical and timely Information, in a controlled manner. Disney is always exploring new ways to enhance safety through the use of innovative technology. Disney SyncLink™ Technology helps us operate a global business with world-class safety standards through the use of real-time data that seamlessly connects time, location, and the needs of our audience. 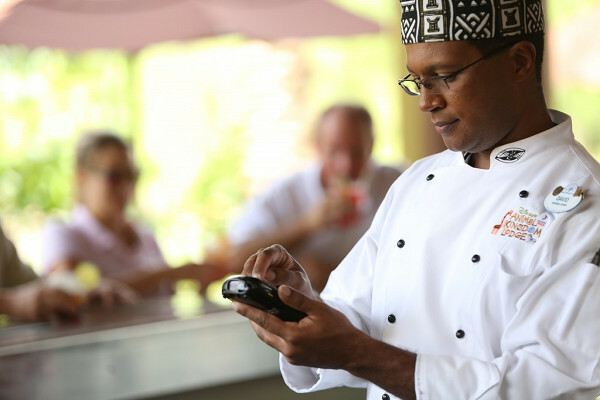 Synchronized wireless technology and a robust data management system efficiently deliver real-time compliance data and food safety data. 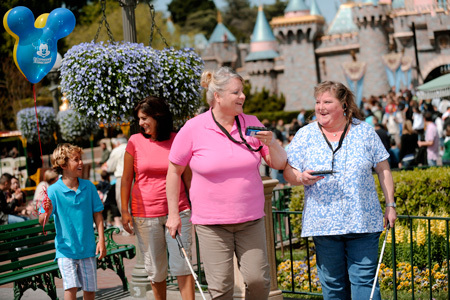 Enabling seamless accessible experiences for Disney Guests with visual and hearing disabilities through the Disney ACCESS™ System, Featuring Disney SyncLink™ Technology. 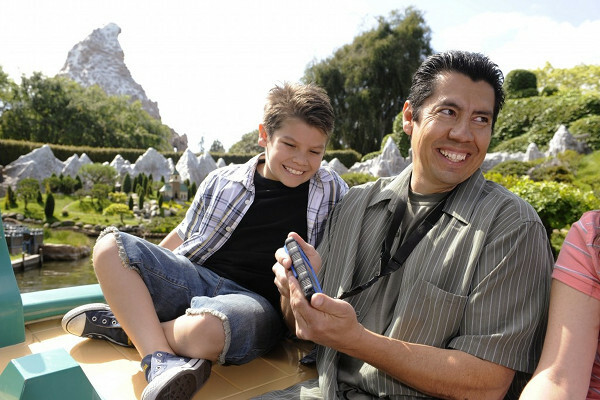 A father and son using the Sync Link technology to enjoy a descriptive ride through Storybook land. We have deployed this technology throughout Walt Disney Parks and Resorts, and now we have made this technology available to outside companies. We want to share our technology to help make the world a safer and more accessible place. 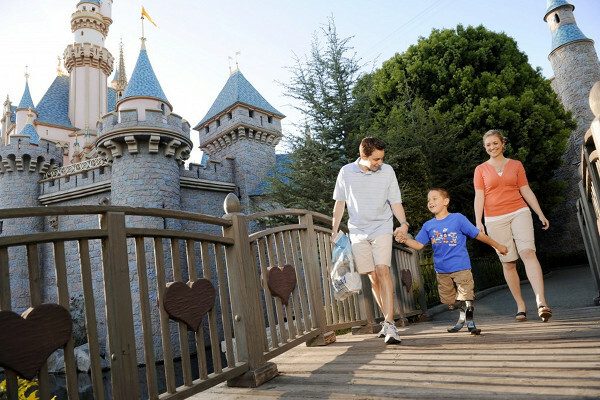 A father and mother walking their son with proesthic legs over a bridge with Sleeping Beauty\'s castle in the background. Delivering the right information at the right time and place to the right person…seamlessly. Revolutionizing the world of Food Safety through the use of smart systems that can manage a company-wide food safety program. Creating accessible experiences for Guests with disabilities, this system synchronizes with the surrounding area to deliver content related to the Guest’s need and location.